Last year’s census report documented an increase in poverty for black Minnesotans from 2013 to 2014, a rise that was unique among all racial groups. In fact, the poverty rate among African Americans in Minnesota is 4.5 times higher than for whites in that state. 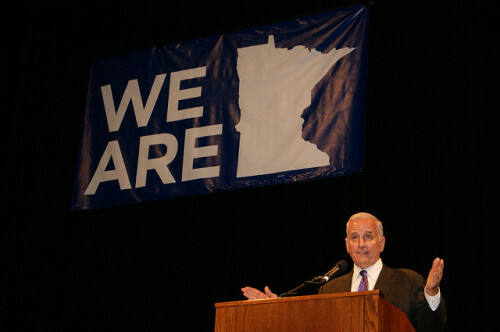 Now, faced with a potential $900 million surplus, Minnesota Governor Mark Dayton has produced a $100 million legislative package designed to address persistent racial disparities in that state. The package will include support of discrimination investigations as well as business-development programs, youth employment initiatives and first-time homebuyers. Of the $100 million he is proposing, $34 million still remains for community groups and legislators to make decisions on. The reactions the measure has drawn show an appreciation for the recognition of the need, but also acknowledge that the size and style of the investment may not make a big difference against deeply embedded structural problems. I really do believe the governor means well, but he’s given two-thirds of the money away to other state agencies that have not proven to have a level of sensitivity around these issues, or a real grasp of how to deal with these issues in real time, in a way that’s gonna make us all proud.